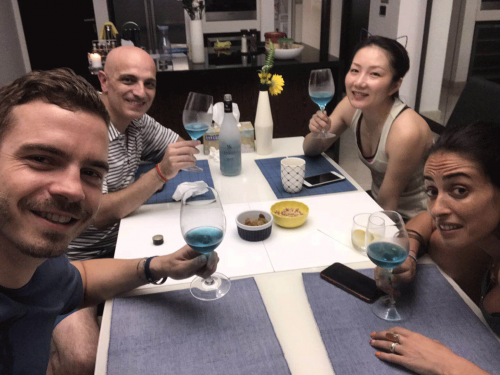 Happy to surprise my friends and open this fizzy sweet Blue Moscato, less happy after we tasted it. 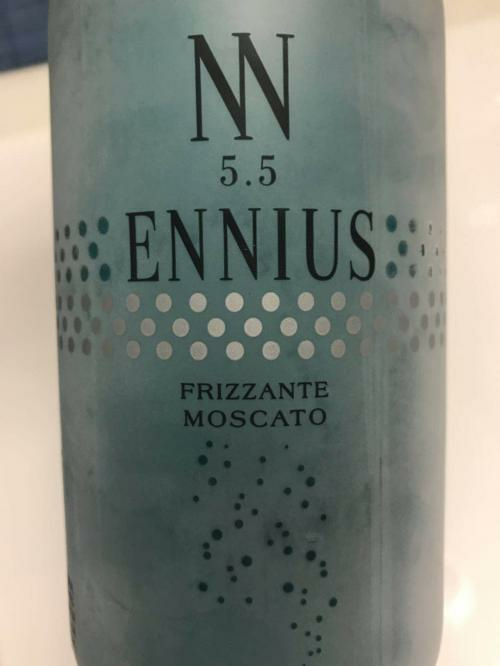 On the label it is 5.5% alcohol (quite normal for a sparkling Moscato) but the taste was too sweet, it felt more like a juice and little to do with wine. 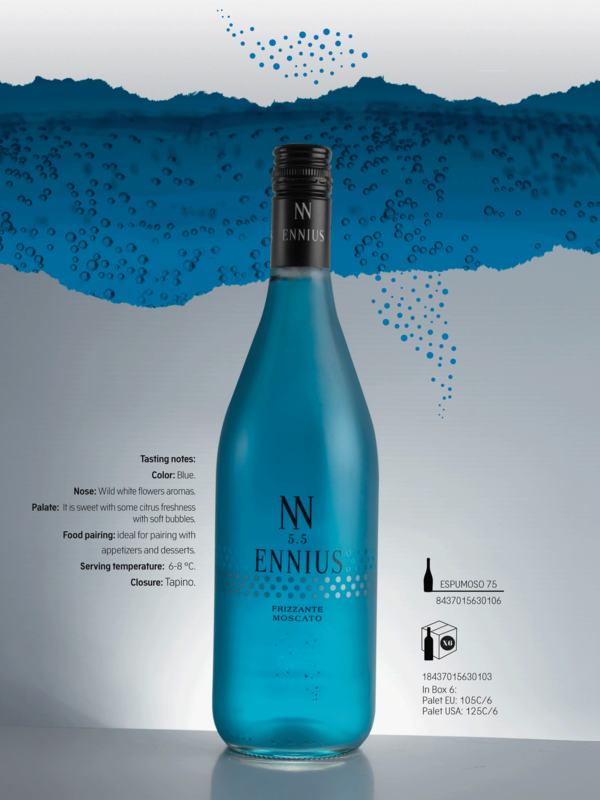 The back label says “Sparkling sweet – aromatized wine cocktail – Product of Spain“, there is no mention to classification therefore I suppose it is not a DO wine (Denomination of Origin). 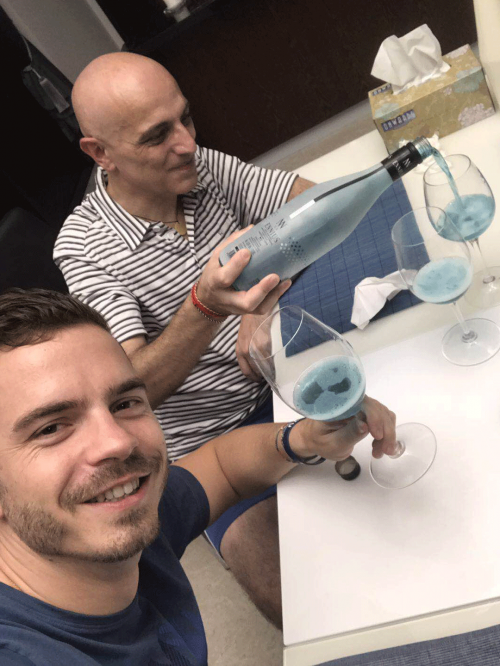 We remain with the question: is this a real blue wine or a juice??? Six entrepreneurs in their ‘20s have invented Gik, a bright blue wine from Bierzo in northwest Spain made with red and white grapes. 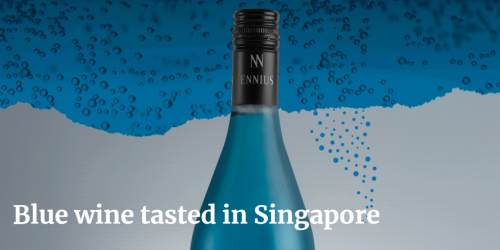 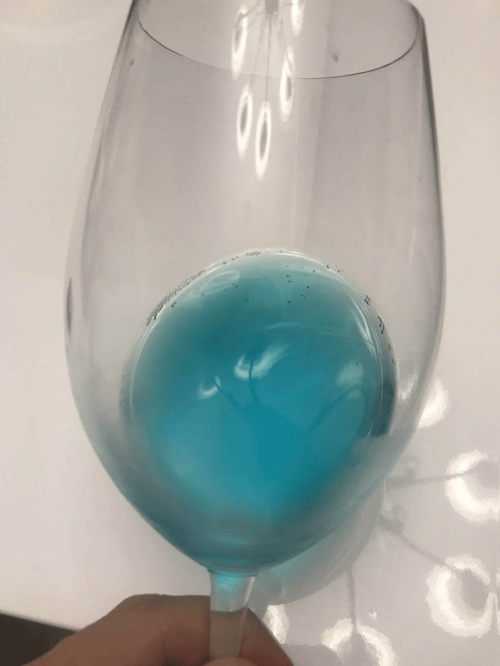 The first blue fizz made from French grapes will be launched at Frieze art fair in London this week, and its makers claim that it “tastes better than Champagne”. Eden is made from Chardonnay grapes from Provence and has a high dosage of 38g/l. It is said to offer aromas of “white peach with hints of passion fruit”.